The cold weather is making me reminisce about a past winter trip that I took to the Bahamas from New York on the Norwegian Gem. What a turquoise dream that was to get away from the winter weather during the winter months. This entry was posted in Bahamas, Caribbean and tagged Bahamas, Beach, Caribbean, Cruise, Travel, travel photography, Turquoise, Turquoise Compass, Turquoise Life, Turquoise Travel by Turquoise Compass. Bookmark the permalink. wow – what an amazing image – beautiful! Thank you so much. Are you wishing for warmer weather this time of the year as well? You are in the US right? Thank you Jessica – I am lucky for choosing regions in the USA with warm weather – I appreciate your question! The US has so many beautiful places! No, but we were close. We stopped to Nassau after and I went to visit Atlantis after this small island visit. I think the island is owned by the cruise ship company. Have you been to Atlantis? We never stayed at the Atlantis, but spent some time around the tanks everytime we were over. Yes, that’s exactly what we did too! Are those sting rays under the brilliant turquoise water? They’re actually in a pool at Atlantis hotel in the Bahamas at the Atlantis Paradise Island marine. Experiencing a cruise is one of our dreams! Hehehe! It’s actually funny; we want to experience cold and snow—we don’t have that since we live in the Philippines, which is a tropical country. A cruise is fun because you get to see so many destinations in one week. 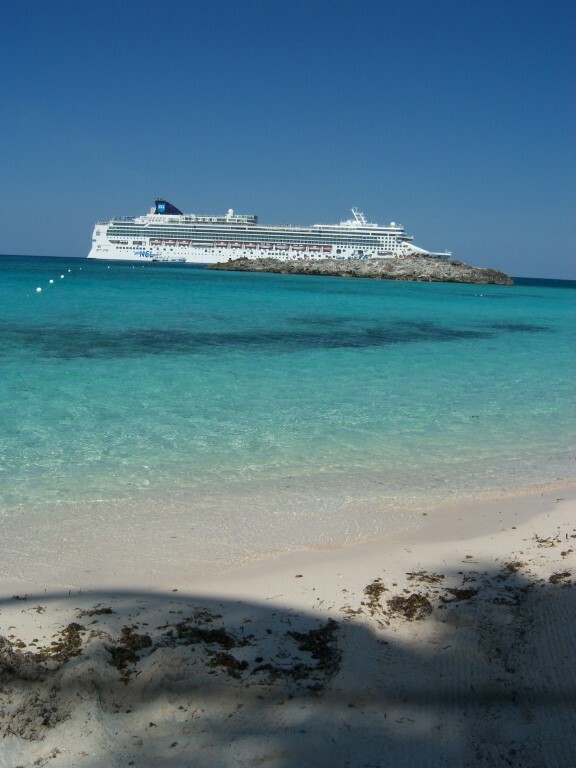 Why not go on a cruise from NY (during the winter) and head to the Caribbean! You would have the potential to see snow and sun! Or go from Vancouver, CA to Alaska. You would get your fair share of snow and cold. I want the opposite…sun and sand, since I am from Canada. Enjoy where you are, and where you are is right where you are meant to be. Live life to the fullest and it’s never too late to dream a new dream.